Queens, NY - Furthering their commitment to the Queens art community, Queens Council On The Arts will offer 8 Queens based artists the opportunity to create temporary public artworks throughout Jamaica and Jackson Heights. The new program, ArtSite, will award 8 artists with a commission of $4,500 each to create temporary public art in these communities, ranging anywhere from murals to performances, that illuminate the different ways art can transform a community. A key goal of ArtSite is to empower artists to engage on a local level, understanding that they can be a catalyst for change. 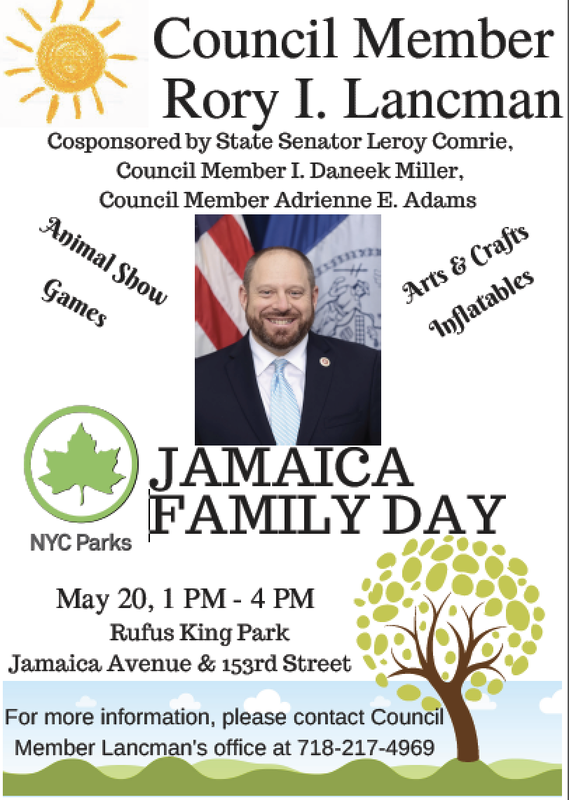 QCA, along with its partners, the Jamaica Center BID in Jamaica and the 82nd street Partnership in Jackson Heights, seek to create a self sustaining supportive art culture in these communities. “Today’s announcement by President Trump, declaring that our summit with North Korea has been canceled, is as unsurprising as it is alarming. Given the rapid deteriorations of talks with North Korea, and the lack of a clear strategy or diplomatic groundwork laid out by this administration in Pyongyang, our North Korean mission was always on the verge of collapse. “Though I have long cautioned against celebrating these talks too early, it was in my hope, and all our hopes, that an agreement to denuclearize North Korea would be reached through the tireless efforts of President Moon of South Korea. More concerned with spectacle than substance, President Trump undermined that goal by prematurely agreeing to a summit, before the nuances and demands of both parties could be assessed. “Nothing exemplifies the complexities of these kinds of deals more than the JCPOA, which took years of multilateral negotiations to accomplish. Contrary to what the President has said, diplomacy is hard work. That is why it was so reckless to pull out of the Iran deal, and why the President is now struggling to reach a deal with North Korea. “I urge President Trump not to give in to more nuclear saber-rattling, but engage North Korea with a more methodic diplomatic approach. Through bilateral relations with President Moon, the cancellation of the summit can be an opportunity to let our State department first work out a framework for a deal. 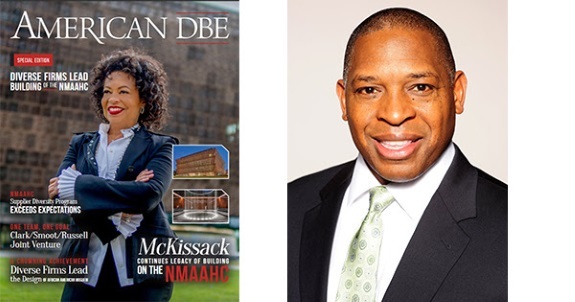 Raleigh, NC -- In spring 2018, American DBE Magazine published a special edition featuring the minority contractors and suppliers who designed, built and coordinated construction of the Smithsonian Institution's National Museum of African American History and Culture (NMAAHC), located on the National Mall in Washington, D.C.
Labels: Magazine Profiles DC Black Museum Contractors. 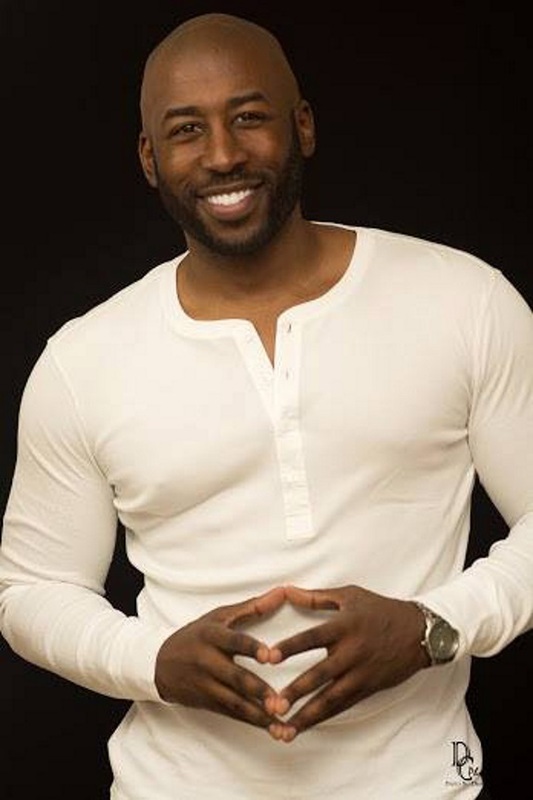 Benicia, CA -- Harold Leffall, author of I AM ENOUGH, empowerment evangelist, businessman, entrepreneur, and public speaker with a passion for lifting others up, has officially announced countrywide tour dates for individuals looking to boost their personal self-esteem levels. 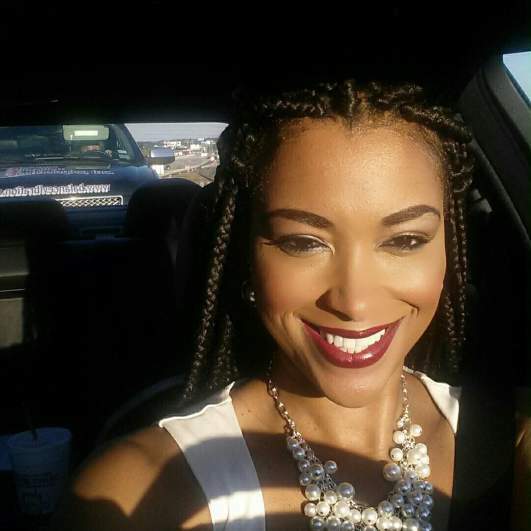 Labels: Black Empowerment Evangelist Launches "You Are Enough Now" Self-Esteem Movement. 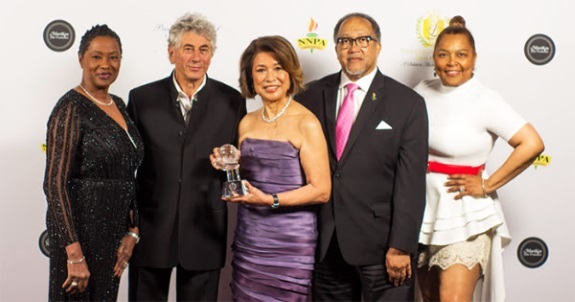 Denver, CO – In April, Denver Urban Spectrum (DUS), Denver's premiere publication for communities of color, celebrated 31 years of spreading the news about people of color. 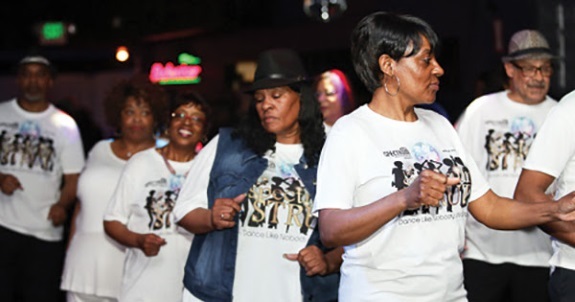 Labels: Denver Black Newspaper Celebrates 31 Years. 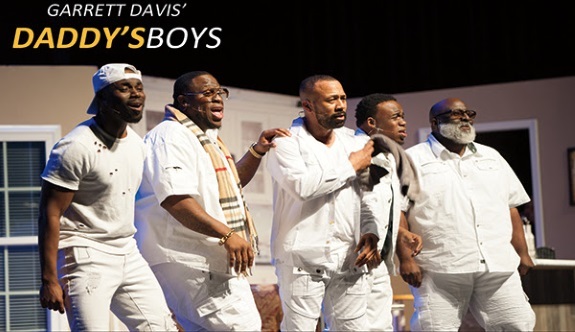 Nationwide -- PHEN (Prostate Health Education Network) presented the Daddy's Boys stage play on May 12th at the Reid Temple AME Church in Glenn Dale, MD before an audience of more than 1,000. Labels: "Daddy's Boys" Black Stage Play Raises Awareness For Prostate Cancer. Hey Jamaica and Southeast Queens, New York, area peeps are you ready for a new and exciting night of jazz this month? Are you receptive to being entertained with strings of captivating artistry? Are you ready to feel the invigorating vibes of sophisticated musicality? Because in: May We Jazz It UP! As always Jackson Room, will feature a cadre of world class jazz musicians showcasing their extraordinary talents in our community. Our new exclusive guests for the evening will be the Bruce Edwards Trio, and renowned Ed Jackson on sax. 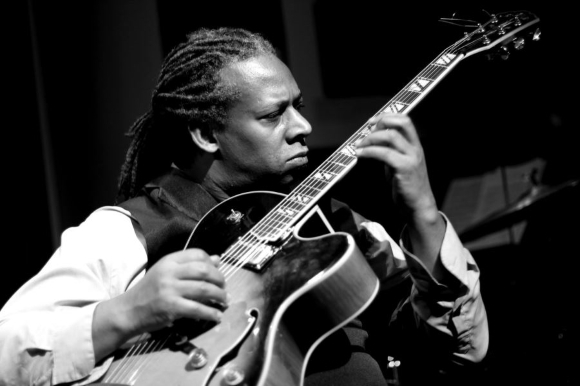 The Bruce Edwards Trio and Special Guest Ed Jackson, will bring a different vibe to the jazz mix at Jackson Room in that Bruce is an accomplished guitarist. Let me share a little bit about Guitarist/Composer Bruce Edwards. He was a member of Sun Ra's Arkestra from 1984-1992, traveling all over the planet and appearing on recordings such as "Sun Ra Sextet Live at the Village Vanguard", "Destination Unknown", "A Night in East Berlin" and more. In addition, Bruce has performed/recorded with artists such as James Carter (CD: At the Crossroads) Charles Tolliver, and GE Smith and Lenny Pickett of the Saturday Night Live Band to name just a few. Called "a Master of his instrument" by John Kelman of All About Jazz, for the past several years Bruce has focused on composing and producing music for films and TV, winning a Telly Award for his original music and sound design in 2006, as well as teaching guitar for Jazzmobile, The New School, and privately. Trust me you will want to have your face in the jazz space for Southeast Queens, at this exclusive engagement with the Bruce Edwards Trio. We hear the musicians will have some special selections with their Jackson Room patrons in mind. Don't miss this promising performance at Jackson Room, as - May We Jazz It UP! Attend this exclusive engagement with The Bruce Edwards Trio and Special Guest Ed Jackson, Saturday, May 26th, 2018. Please remember Jackson Room, performances sell out well in advance in the warmer weather. So why don't you RSVP now? National Story: According to the Centers for Disease Control and Prevention (CDC), more than 12 million U.S. children are obese. This accounts for nearly one in six school- aged children. From music to video games, living in the digital age comes with its pros and cons. 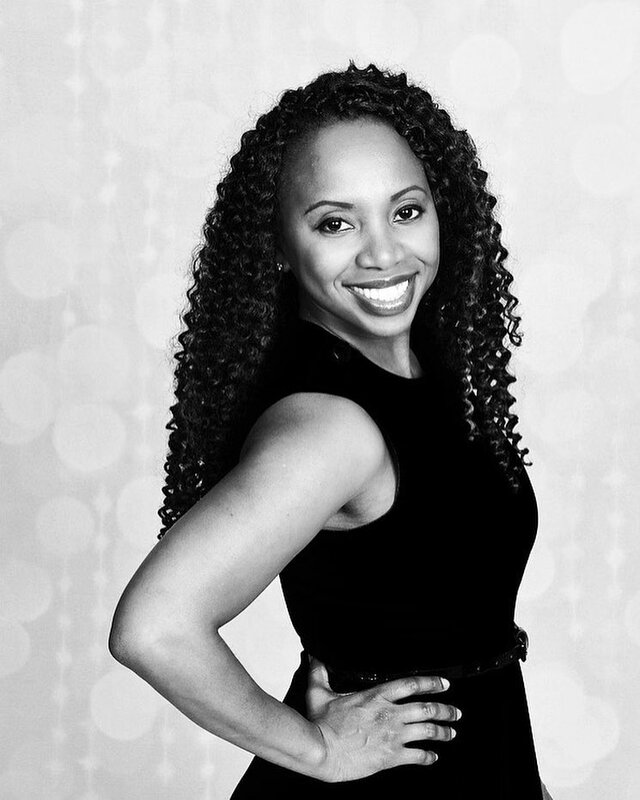 One former hip-hop producer and industry veteran seeks to use fitness conscious music to get kids active. Nationwide -- The new kid on the block, TITAN Reginald F. Lewis FILM HONORS: A Salute to Multicultural Excellence, brought together Bollywood, Hollywood and Nollywood under one roof for the first time ever. Labels: Black Super Heroes at This Year's Festival de Cannes in France. 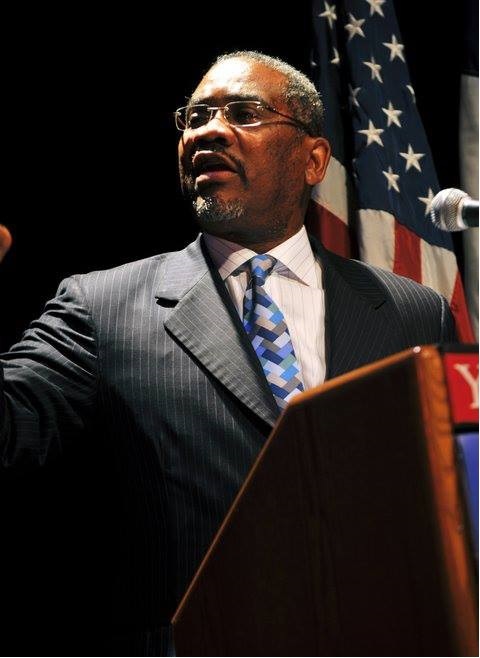 Boston, MA -- The United States Distance Learning Association (USDLA) Board of Directors named Dr. Reggie Smith III as its new CEO/Executive Director effective July 1, 2018, making him the first African American to lead the organization in its history. Labels: USDLA Gets First Ever Black CEO and Executive Director. Washington, D.C. -- Social Justice, Family, Education, and good vibes are just a few of the topics covered by prolific emcee, artist, and educator, Substantial, hailing from the Washington, D.C. area. For nearly 20 years, he’s given you stellar production paired with phenomenal lyrical commentary, working with legendary producers such as Odisee and Nujabes, though many times finding himself at the helm of his production and that of others. 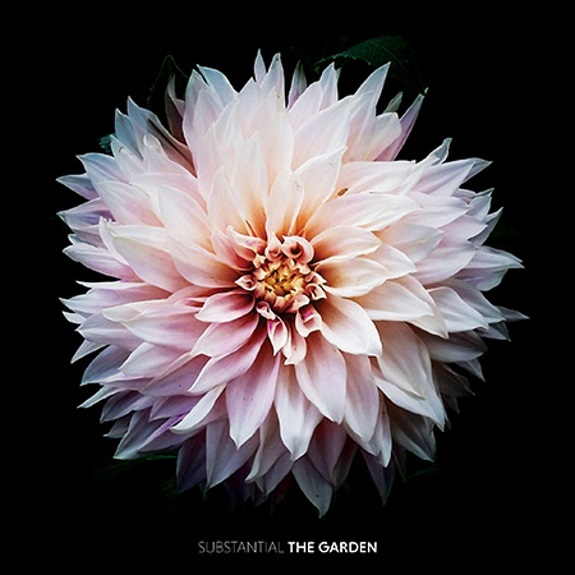 With his latest release, The Garden, we see him highlight those skills providing a soundtrack to our social lives to be talked about for years to come. It’s an audible experience transcending sound by inspiring visual experiences via the album art and physical experiences through dance and movement the music naturally encourages. The melodies and instrumentation have a home in any setting. The bare tracks are fertile ground for the birth of classic soundtracks, radio hits, or scores. It is a timeless experience with a modern approach. On May 18th audiences will finally receive what they've been asking for. The full debut of The Garden, available everywhere. Labels: Hip Hop Artist's Album Proves Why You Don't Need a Dope Rhyme Over a Tight Beat. Discover 5 Empowering Similarities Between The Black Panther Film And The Southeast Queens Scoop! Are We Ready To Support An Independent Black Media Production That Challenges Stereotypes? 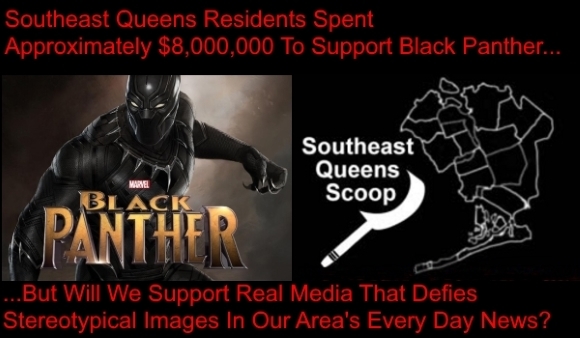 Here Are Some Real World Similarities Between The Success Of The Black Panther Movie And The Southeast Queens Scoop News Blog. 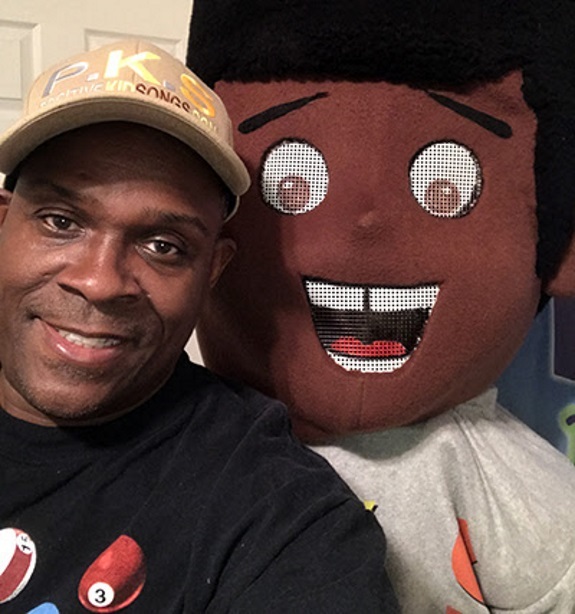 Black people in the US helped propel Black Panther into becoming one of the top grossing movies of all time (4th as of the writing this post). Globally people of all ethnic groups supported the film which defied stereotypes. The film generated over 1.3 billion dollars and at a production cost of 200 million dollars. Which means the film made 1.1 billion dollars in gross profits for the Disney/Marvel conglomerate. It has been reported that the Black people in the US spent about $400,000,000 ($400 million) to see and support the Black Panther Movie. And of course that doesn't count the Blacks who supported the film throughout the world. 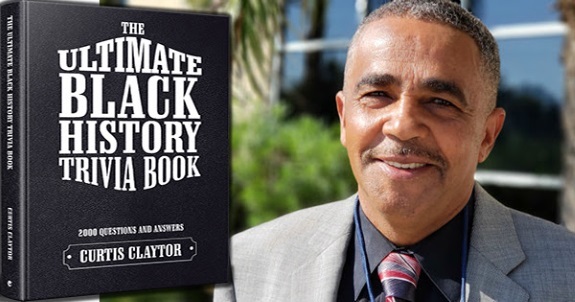 Also people from all ethnic backgrounds went to see the film and enjoyed it which defied the conventional wisdom of Hollywood, that Black leads couldn't do well in a global film marketplace. I calculate that given the percentage of the Southeast Queens population (in ratio to the US Black population) that we spent about $8 million dollars collectively to see the Black Panther film in our area. What if we spent $8 million dollars to create positive businesses and independent media sources in our community? Wouldn't that really help us? One of the reasons the movie made so much money from the Black consumer market is some people went to see the film more than once. But why would Blacks be so elated to support the film? 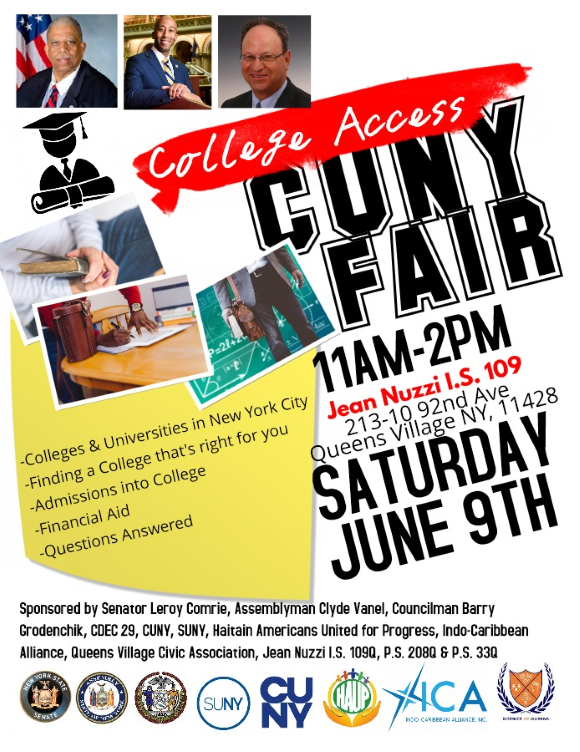 One and all are invited to a local College Access CUNY Fair. Topics to be covered include: New York City Colleges & Universities; finding a college that’s right for you; college admissions, and financial aid. Labels: College Access CUNY Fair. Calling on poets, singers, musicians, dancers, and comedians. 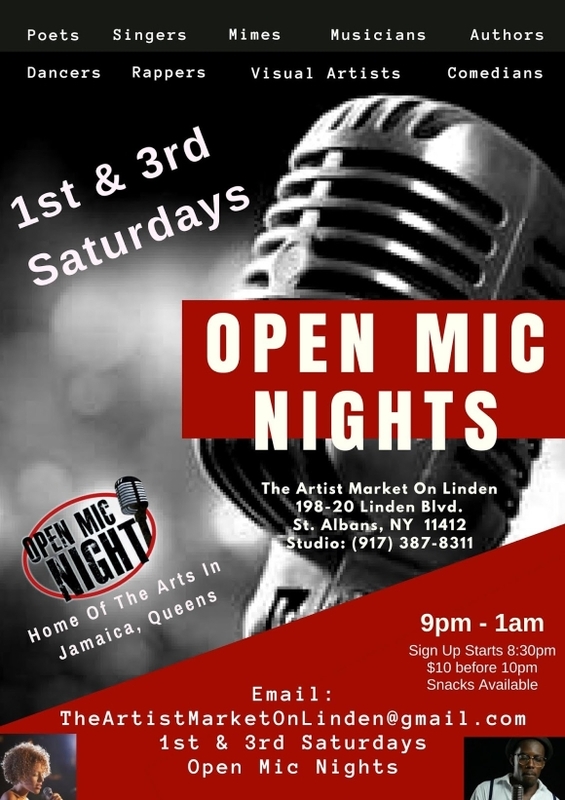 You are all invited to participate in an open mic night that will take place on the 1st and 3rd Saturdays at The Artist Market on Linden. Come on out! Labels: Open Mic Nights @ The Artist Market on Linden. 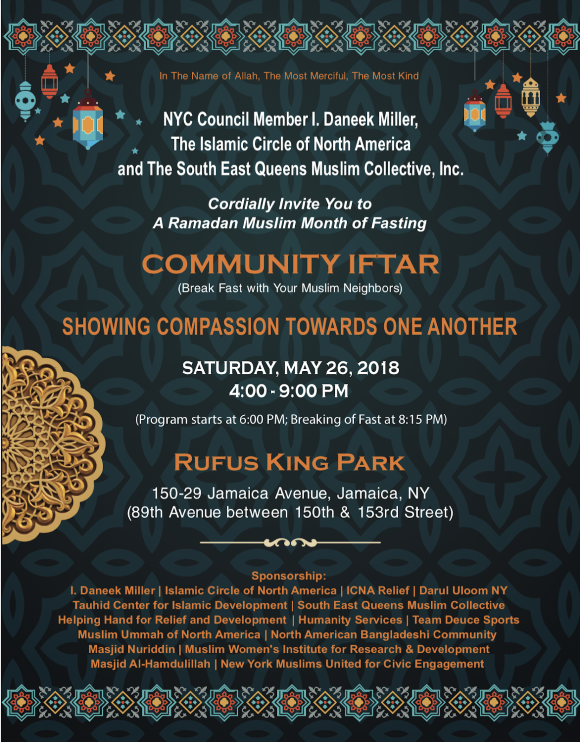 New York City Council Member I. Daneek Miller, The Islamic Circle of North America, and The South East Queens Muslim Collective cordially invite you to a Ramadan Muslim month of fasting. Come and break fast with your Muslin neighbors. 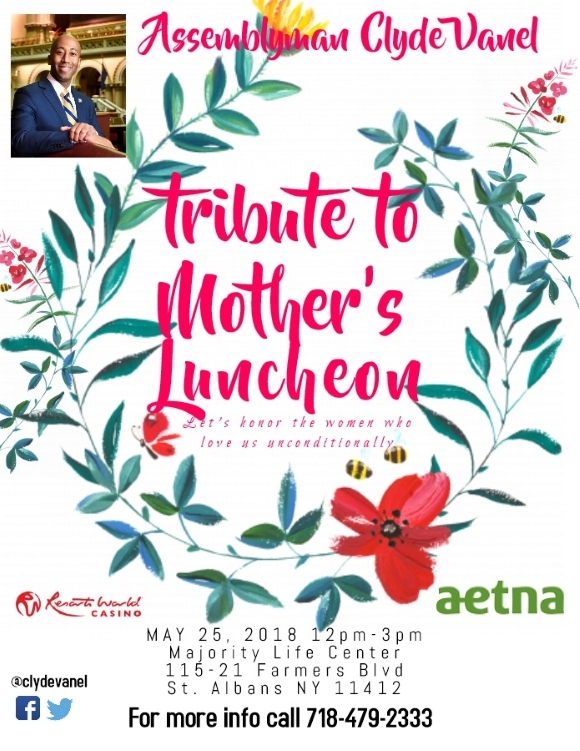 Moms Be Honored At Assemblyman Clyde Vanel’s Free "Tribute to Mother’s Luncheon!" Calling all mothers! Assembly Member Clyde Vanel, is paying tribute to mothers at his Tribute to Mother’s Luncheon. For more information, call (718) 479-2333. Labels: Clyde Vanel’s Tribute to Mother’s Luncheon. 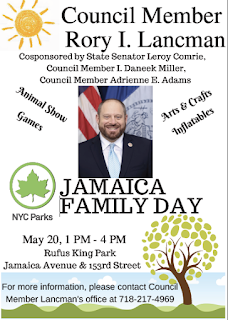 New York City Council Member Rory Lancman — with New York State Senator Leroy Comrie and New York City Council Member I. 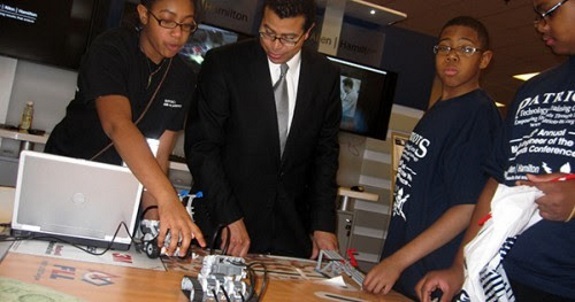 Tell Young People About These Paid Internships Making $4,550 in 14 Weeks. 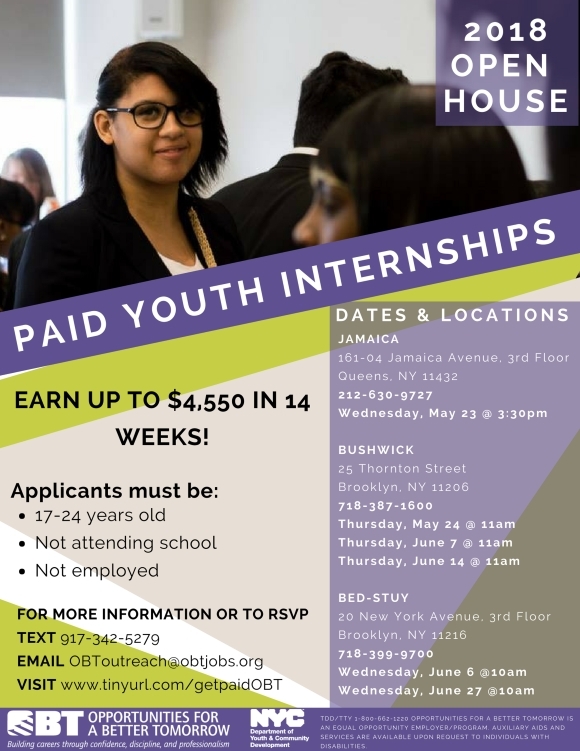 My name is Emily Hills, with Opportunities for a Better Tomorrow ,at the Jamaica Y Roads Center, and I am reaching out to see if you can share the below Open House with your network. This is an opportunity for young adults who are currently not in school or working to gain valuable job skills and work experience while earning $13 an hour. Our Jamaica location is hosting an Open House next Thursday at 3:30pm for any interested young adults to come in to apply, and we would love to have a full house! I am including my colleague, Miguel Colon, the YAIP Manager, in this email as well. If you have any questions, please let us know! We are hosting an open house for our 14 week paid internship program next week! Youth must be 17-24 years old, out of school and unemployed, NYC residents, and eligible to work in the US – but a diploma is not required. Participants work 25 hours a week gaining job skills, life skills and work experience, earning up to $4,550 in 14 weeks! For more information or to RSVP, please call 212-630-9727, email outreach@obtjobs.org or visit www.tinyurl.com/getpaidOBT.